Collins Booksellers - Centering Women of Color in Academic Counterspaces by Annemarie Vaccaro & Melissa J. Camba-Kelsay, 9781498517119. Buy this book online. 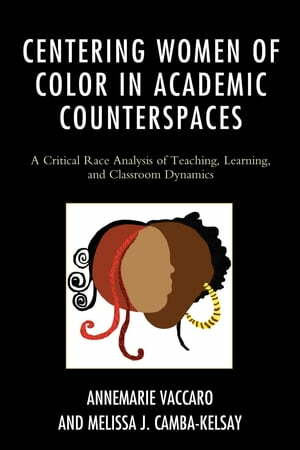 Centering Women of Color in Academic Counterspaces offers a rich critical race feminist analysis of teaching, learning, and classroom dynamics among diverse students in a classroom counterspace centered on women of color. Annemarie Vaccaro and Melissa J. Camba-Kelsay focus on an undergraduate course called Sister Stories, which used counter-storytelling to explore the historical and contemporary experiences of women of color in the United States. Rich student narratives offer insight into the process and products of transformational learning about complex social justice topics such as: oppression, microaggressions, identity, intersectionality, tokenism, objectification, inclusive leadership, aesthetic standards, and diversity dialogues.